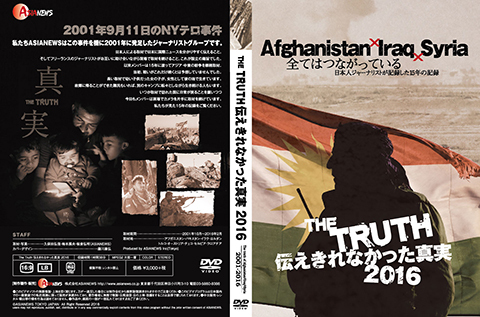 We're the independent production company in tokyo.Just after the NY terrorism, a journalist, a program director and a cameraman invest and establish. Please visit What's Asianews? The behavior of marine animals still remains amystery. A world-renowned biologist, Yuki Watanabe,researches and recordstheirbehavior using a method called bio logging. By attaching amotionrecorder calledlogger and a miniature camera to theanimal, the secret lives of theseanimalsbecome clearerthrough captured footage. It is the most advanced field ofresearchthat hasrapidly developed over the last 20 years inthe biologyfield. When Watanabewent to Antarctica as a member of theAntarctic expedition team, hecapturedfootage of the Adeliepenguin by attaching a camera to the penguin. Thatfootagehasgarnered a lot of attention as it is the first time anyonehas clearlyseen a penguin eating its prey inits natural setting.It has been assumed thattuna swim at a high speed at almost80 km/hour. Butbased on Watanabe’s research,theyswim at about 3 – 8 km/hour. Even inemergencysituations, they only reachspeeds of up to 30 km/hour. In thisway, Watanabe works toclarify the behaviorand habits ofmarine animals which are often shrouded inmystery. The program follows Mr. Watanabe forthree years. Itintroduces a joint research project he did withAustralia’sTasmania University on the broadnose sevengill shark. It alsopresents a lot oftheworld premier footages, captured bycameras attached to marineanimals. For any questions or requests other than copyright issues or licensing requests, pleasecontactASIANEWS. These Terms of Service were last updated on Decmber 4, 2015.